The aim of this novel proposal is to promote the wines awarded at the AWA 2012 and get the audience ready for the new AWA 2013 edition. The concept goes beyond the experience of drinking good wine: it appeals directly to the emotions. Inspired by 8 phrases that evoke moments and sensations, 8 Argentine DJs will create 8 musical sets. These one-hour sets will be broadcast via streaming by Livestream, in an application designed for the Facebook fan page. The audience will have the chance to get inspired by the music, the images and the AWA wines recommended through Facebook and Twitter while the streaming is on. This cycle will be broadcast during the months of January and February 2013, every Thursday at 10 am NYC. 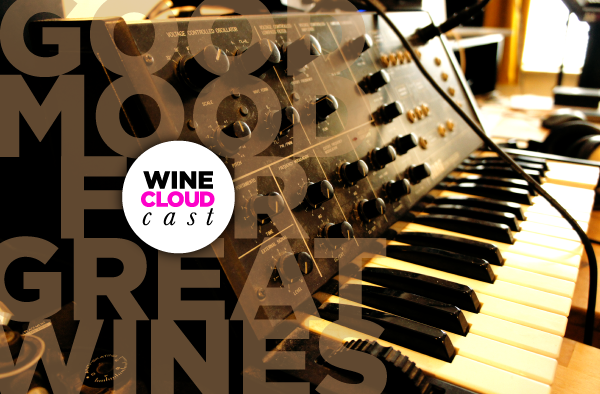 Wine Cloudcast will be permanently available in its own Soundcloud channel, where lovers of Argentine wine will be able to listen to the sets in this original cycle over and over. Pinterest will recreate the experience of each set through a specific board that will display the chosen photos and wines. A different way to relate to the audience through emotions, introducing innovations through digital tools and incorporating social networking sites like Soundcloud. A unique experience, one that only Wines of Argentina can create. Julián Sanza brings us an intense, dynamic set that blends different styles, from Deep House and Nu Disco to Dance and Swing. This set was inspired by two great wines: Matías Riccitelli's Malbec Vineyard Selection Matías Riccitelli 2010 and Valentín Bianchi's Familia Bianchi Chardonnay 2011. Complex, aromatic and balanced, these wines can ideally be paired with various dishes, including grilled beef and vegetable dishes, and enjoyed on any occasion. In this wine and music pairing, classic and contemporaneous styles become fused and show us how they can achieve perfect harmony together. The night is a moment that invites you to relax, whether it be while enjoying a glass of wine in the warmth of our home or having a long conversation after an outdoor dinner in very good company. We suggest the following pairing as a way to fuse unique sensations with some excellent music by José Mariano Piriz: A relaxing set of progressive music, with harmonious sounds inspired by two great wines. The first, Perdriel Centenario 2007, is a silky, elegant wine with aromas of black fruit and spices and a long finish. An ideal wine to connect with the quietness and harmony of dusk. And the second, Salentein Single Vineyard Late Harvest 2010, is a full-bodied wine with excellent acidity and perfectly balanced aromas of nuts, peach and quince. The best choice to finish a good dinner, and why not, a great night under a full moon. Summer is the most crucial season of the year for grapes. The intense heat of the sun gives grapes the strength they need to ripen and fully develop their color and taste in preparation for the long-awaited moment: the harvest. Adrián Giordano brings us a set that was inspired by two great wines and a moment of the day intended for rest and relaxation: our siesta. A simple, relaxing set that harmoniously blends together deep and perfectly tuned sounds and can ideally be paired with Nieto Senetiner's Bonarda Don Nicanor 2010 or Doña Paula Estate Sauvignon Blanc 2011. The first is a fresh wine with delicate oak notes - an ideal pairing for light courses such as salads, sandwiches and vegetable wok dishes. In the second wine, notes of lime and grapefruit blend with green aromas to create a very fresh wine. Both wines can ease the summer heat and make time stop for a moment as you enjoy a summer siesta under the shade of a willow tree. THU 31th 'Treading On Dry Leaves In The Fall' Fernando Dimare "Future Feelings"
The fall, that time of the year when summer and winter blend into each other in a transition cycle, and nature searches for balance, for perfect harmony between them. This is what the combination of sounds unfolding in Fernando Di Mare's set is like. Soft sounds, distorted and energetic sounds - they go all the way from nu-disco to electro-funk. His inspiration came from two great blends: Bodega Altavista's Atemporal Blend 2009 and Bodega Viñalba's Viñalba Patagonia Malbec-Syrah 2010. The first is a spicy, intense yet fresh wine, with great balance. A full-bodied wine with a complex aromatic character lent by the presence of the different varietals. The second wine presents aromas of spices and fruit, with sanguine notes contributed by the Syrah, which makes this wine particularly attractive. Easy to drink. A perfect wine and music pairing for a walk on autumnal dry leaves. One of the most interesting features of wine is that its aromas and flavors may awaken our senses, evoking memories of unique moments. Memories like these led Mariano Iliuta to create a set of gentle, condensed sounds that mix with a diversity of voices to create a seductive atmosphere bringing together the rhythm of Nu-Disco, the sensuality of Deep House and the essence of Lounge. Two great wines inspired the artist to create this vibrant set: Bodega Rolland's Malbec Val de Flores 2006 and Bodegas & Viñedos Casa Montes' Viognier Ampakama 2011. The first wine is elegant, medium-bodied, with fruity and floral aromas, well-integrated tannins, some mild sweetness and a lingering finish. The second stands out for its delicate notes of citrus and stone fruit. It is light, simple and well-balanced. The Malbec is ideal to be enjoyed in the fall or winter, while the Viognier is best for the spring or summer, but both are perfect matches for the memorable aroma of rain in the countryside, no matter what the season. It is hard to imagine a beautiful spring day without good music and a delicate wine to go with it. Ezequiel Lodeiro’s set “El perfume de jazmines en primavera” (The Perfume of Jasmine in Spring) evokes a sweet, gentle, feminine sonority, full of pleasant melodies and colorful rhythms, typical of the season of love. Featuring Deva Mahal’s exquisite voice, the sweet melodies of Mop Mop’s vibraphone and Ezel’s subtle guitar, and never ceasing to keep the heat up with Afro-Latin percussions, this mix was inspired by two great white wines: Álamos Torrontés 2011 by Álamos Winery and Tilimuqui Single Vineyard Fairtrade Organic Torrontes 2011 by Bodega La Riojana. Álamos Torrontés, a fresh wine of medium acidity, offers a floral and citric character in which the subtleties of jasmine are enhanced by lime zest. Tilimuqui Single Vineyard Fairtrade Organic Torrontes 2011 by Bodega La Riojana is a spicy, floral wine, with citric notes and marked acidity. This pairing of music and wine can make a spring day unforgettably unique. Earth and water: mud is an invitation to play and fun, to freshness and freedom. Walking barefoot in mud is a chance to get directly in touch with Pachamama, our beloved Mother Earth, and awakens sensations so delicate and pleasurable that we are taken back to childhood and our true essence. Martín Erlach's set is just as simple a pleasure as that. Pure energy and fresh, stimulating sounds. A combination of remixes of classical pieces with other styles typical of the genre, on a sound foundation of funk. What could inspire this set other than two great wines that represent the best of our land: Cabernet Sauvignon 2008 Finca Las Palmas by Bodega Trapiche and Gran Reserva Malbec 2010 Fabre Montmayou by Bodega Domaine Vistalba. The former stands out for its notes of black fruit, wild spice and a remarkable balance of body, acidity and alcohol. The latter displays great typicity, with notes of ripe plum that stand out on a background of toast and vanilla notes contributed by oak. Great body and finish. It's Friday, 5 p.m. The weekend's here! What could be better than turning up the volume on a set that is chock-full of nu disco, house and indie dance? We let our bodies flow and get ready to enjoy a great time. We match these sensations with two great wines: Decero Amano 2009 Red Blend by Finca Decero and Iscay Syrah 2010 by Bodegas Trapiche. The former is complex, full of spices and fruit. Aromas of blueberries and other berries stand out. It has a great body, which lends balance to its acidity, alcohol and nerve. In the Syrah it is the black fruit and the spices that stand out on a background of balsamic and soft toasty notes. Round in the mouth and very well-balanced. A wine to be savored at leisure as we relish every sip. Enjoy!